Nord Anglia Education is known for its provision of the highest quality of international education for children all around the world. 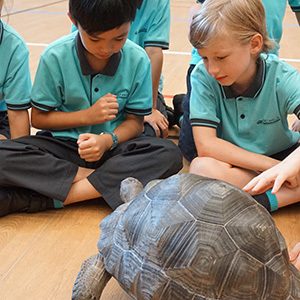 To provide the same standard of instruction to students of all ages in China and Vietnam, Nord Anglia has developed a bilingual teaching model in these two countries. Learn more about how Nord Anglia implements their bilingual educational offer and why demand for this type of education is growing worldwide. What is a “bilingual education”? The term “bilingual education” generally refers to the planned and systematic use of two languages in the course of a student’s education at school. Here at Nord Anglia Education, the aim of this approach to teaching and learning is for students to master their second language through their academic studies and as a result of the opportunities offered by being part of our family of over 50,000 students around the world. Bilingual education enables students to develop comprehensive abilities in a second language in terms of listening, speaking, reading and writing, whilst still ensuring complete fluency in their first language. Ideally, students will be able to use their second language to interact with others, excel in their academic studies and enhance their opportunities to study, live and work in different places around the world. Bilingual learning not only helps students master and apply both languages but also enhances their understanding of each culture. The goal is for our students to be immersed in intercultural communication, where the second language is the medium and means of teaching and learning as opposed to simply the subject of study. A growing amount of research shows the positive impact of a bilingual education on the development of the human brain. Highly sophisticated brain-imaging technologies have allowed neurologists to verify how using two languages has a positive effect on the brain. The latest research suggests that those who study bilingually and switch between two languages have higher attention spans and enhanced learning abilities, as the frontal lobe of their brains becomes more active. As a result, bilingual learners outperform single-language learners in terms of problem-solving, multitasking and concentration. Overall, bilingual study is proven to enhance brain development and makes the brain healthier, more active and more efficient. This is the “bilingual advantage”. As China continues to flourish and develop stronger ties with the rest of the world, a growing number of families have come to realise that a bilingual education with Chinese and English can give their children fantastic professional and personal advantages. Nord Anglia Education established its first bilingual school in Shanghai in 2016 called Nord Anglia Chinese International School (NACIS). NACIS integrates the best practices of Eastern and Western education to complement and enrich the local curriculum using a bilingual teaching model. The International Baccalaureate Diploma Program (IBDP) is seamlessly incorporated into the NACIS curriculum. You can learn more about NACIS here. Bilingual education at NACIS goes beyond language study by infusing elements of Eastern and Western culture into the curriculum. It enables Chinese national and foreign teachers to amplify their respective strengths while broadening students’ ways of thinking and approaches to problem-solving. Bilingual education in our China schools is grounded in the Chinese national curriculum with a compulsory nine years of study at its core. The knowledge and skills stipulated in the national curriculum are delivered and integrated into daily teaching and learning using innovative approaches, such as thematic and interdisciplinary learning. 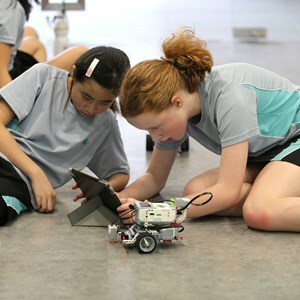 As with our international schools, Nord Anglia’s bilingual schools partner with world-class organisations such as the Massachusetts Institute of Technology (MIT), The Juilliard School and UNICEF to provide our students with opportunities to accelerate their learning and achieve more than they ever thought possible. At NACIS, the school’s curriculum also features explorative and investigative international curricular elements from the International Primary Curriculum (IPC) and International Middle Year Curriculum (IMYC). Our bilingual teachers also take advantage of a range of international teaching resources to optimise their courses. For example, the use of the Content and Language Integrated Learning (CLIL) approach immerses early years students in an English language environment, laying a solid foundation for future studies in English. 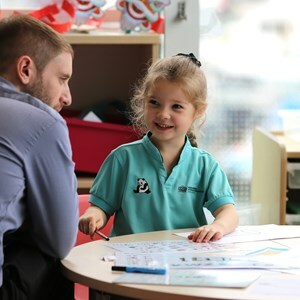 More importantly, bilingual education includes cutting-edge approaches to teaching and learning in both languages, giving Nord Anglia students a head-start from a young age. This kind of teaching and learning helps students succeed in the future by developing their core competencies, character and international-mindedness. The aim is to develop ambitious graduates who are true global citizens and equipped for future success. 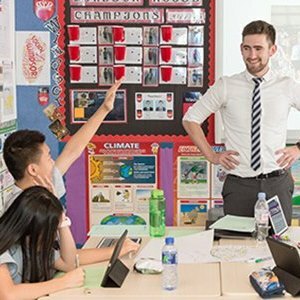 While China is a unique education environment, Nord Anglia’s offer of bilingual education has also been very successful in Vietnam. 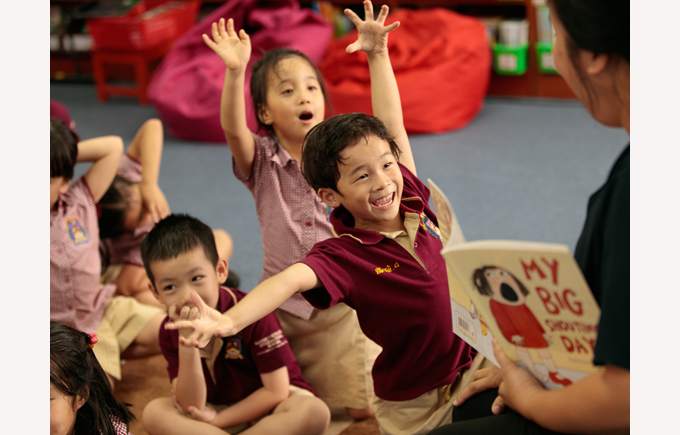 The British Vietnamese International School in Ho Chi Minh City and Hanoi, students are prepared for future success through the provision of a unique bilingual and bicultural education. Read more about the schools here. The curriculum at these schools is taught in both languages, with a focus on English towards the end of the programme to prepare our students for university studies abroad. For parents who desire a bilingual education in either China or Vietnam, Nord Anglia Education presents the perfect choice.